An abundance of delicious local food and wine that gets everyone’s tastebuds dancing! 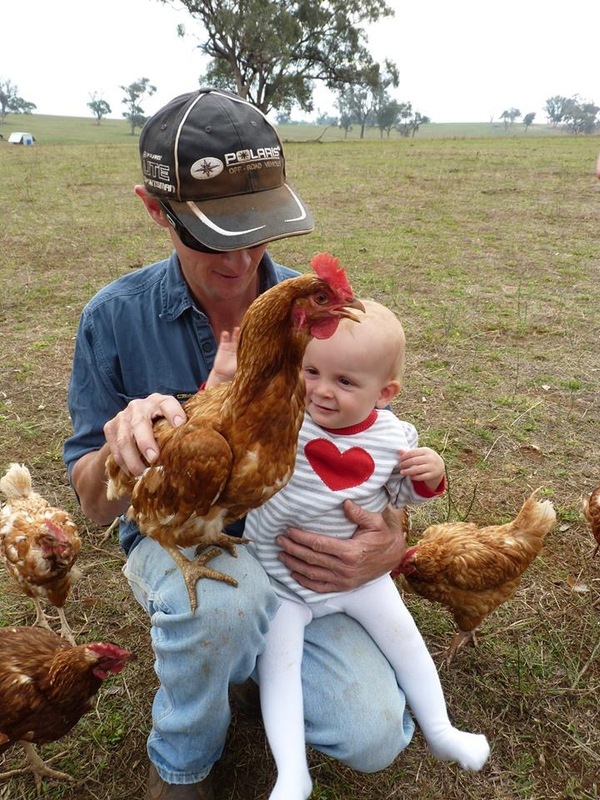 Travelling from Sydney to Orange on the FOOD train eating delicious seasonal food and drinking local sparkling while listening to the region’s farmers share the ‘from paddock to plate’ journeys behind their produce. Walking 3.6 kilometres through spectacular vineyards, stopping every 500 metres for scrumptious mouthfuls of local food and wine, made even more outrageously fun with a downpour of rain!! Interviewing some of the region’s inspiring farmers at the Producers’ Market. 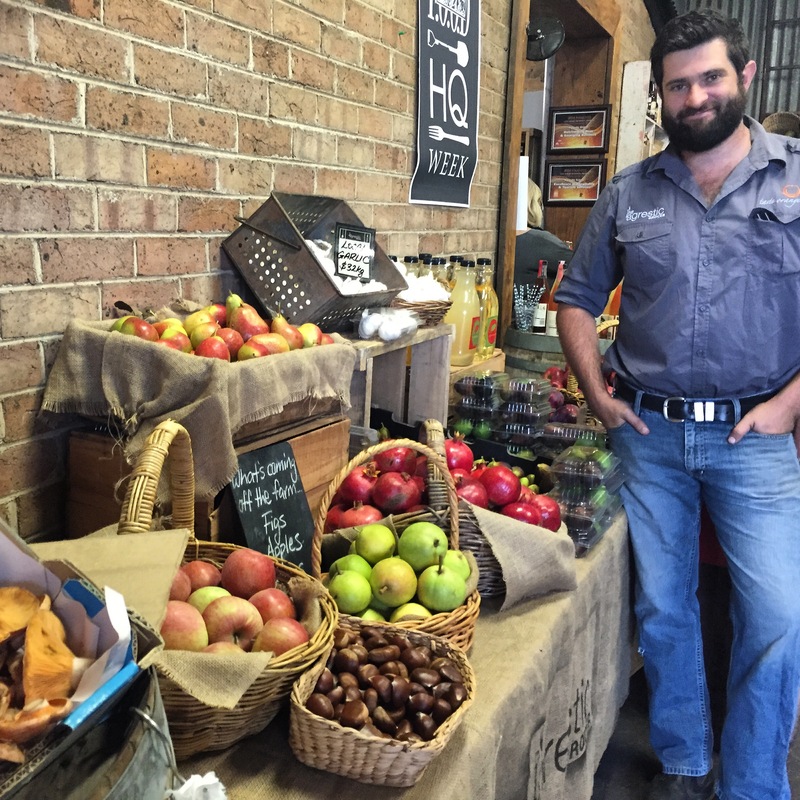 Download the free Paddock to Plate app to find more about these Orange farmers and where you can find their produce. You can also download the OrangeNSW app to find local cellar doors and farm gates. Thank you to the F.O.O.D Week and Taste Orange committees, as well as the local farming community for your wonderful hospitality. I look forward to working with you on upcoming From Paddock to Plate (FP2P) projects. It’s not often that you are offered a wine and cheese tasting while inspecting a new piece of machinery, however it certainly did not take long for people to get used to the idea. From talking about the importance of bees and tasting a selection of honey varieties, to persuading the olive producer to reveal his secret pickling recipe, to devouring fresh raspberries covered in chocolate and learning about the hazelnut harvest happening in the neighbouring paddock, there was not a moment spare. School children flocked to the stage to learn about the ‘from paddock to plate’ journey of their favourite foods while hospitality students were assigned the job of offering tastings to the hungry masses. At one stage, Bernard from the Tasmanian Working Sheepdog Association even had his puppy rounding up the crowds so that they could get a closer look. Thank you to all the producers for participating in the presentations and tastings with good humour and great jokes and to Kubota, a proud supporter of FP2P.